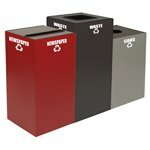 Our desk wastebaskets are ideal for office trash. 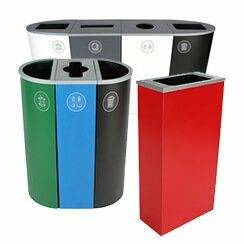 Efficient designs fit snugly beside any desk and can be used as office waste bins or recycling bins. 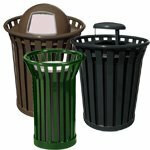 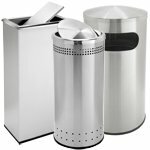 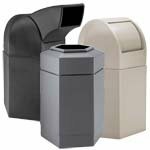 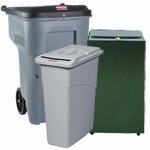 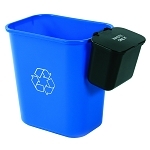 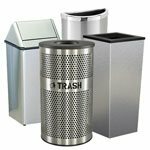 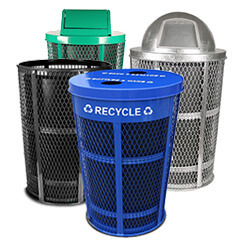 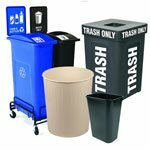 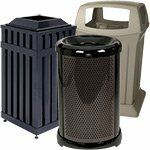 Our wide selection of office garbage cans is sure to meet your needs. 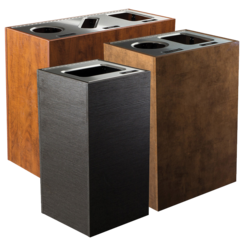 What’s next to your desk? 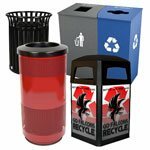 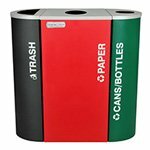 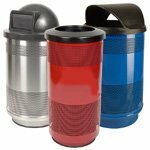 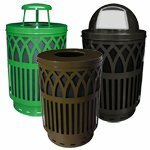 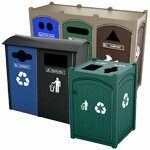 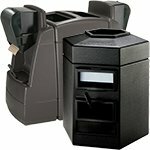 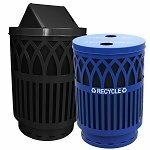 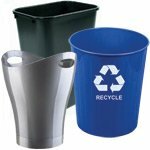 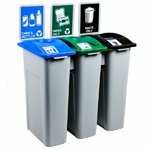 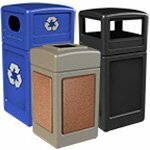 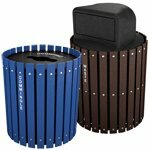 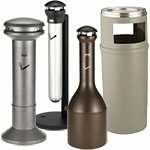 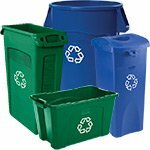 This collection of deskside waste receptacles includes variations on many makes and styles that popular with our corporate and public sector customers. 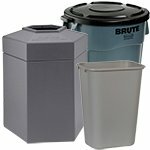 Simple, small and space-saving 14-quart wastebaskets and 28-quart garbage cans can also be found in bigger sizes. 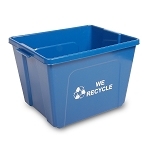 Keep an eye out for matching recycling bins and convenient little baskets that hang from one side. 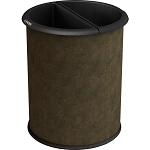 Standard colors for deskside office waste baskets are brown, black and green but other colors are often available upon request or via drop-down options on our refuse bin product pages. 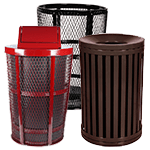 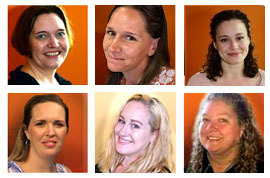 Be sure to request a quote or call our trashcan specialist today. 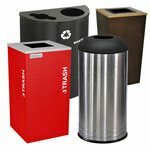 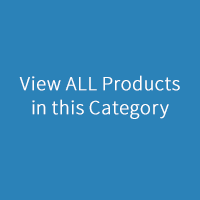 Perfect for simple office waste containment, deskside waste receptacles in this comprehensive collection don't have to be drab. 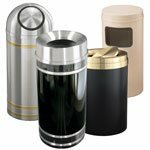 We have cans in stainless steel with patterns and designs, waste baskets for use behind hotel check-in desks and concierge stations and administrative offices. 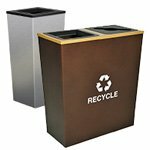 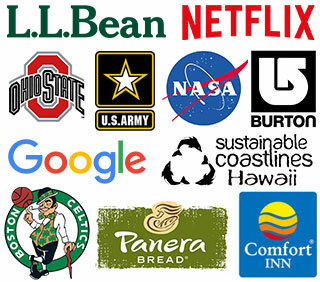 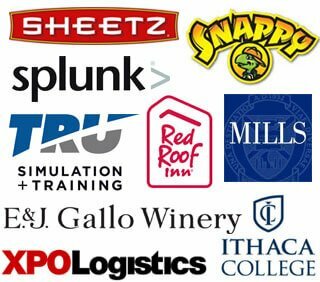 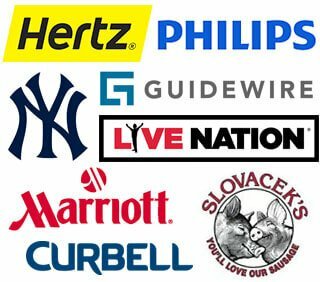 Our many repeat customers in procurement management positions for large hotel and resort organizations prefer InnRoom waste and recycling solutions thanks to the modest yet elegant patterns in squares, slots and holes on some models of round executive wastebaskets. 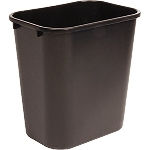 Some of our smaller, decorated stainless steel trash baskets are accented by black trim and look sharp in presidential suites and modest motel rooms alike. 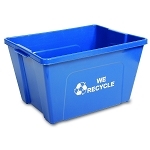 The Upright recycling containers are great for busy work spaces. 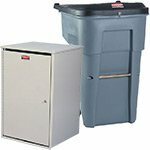 Smart Sort lidded containers can handle the trash in corporate kitchens, bathrooms and boardrooms. 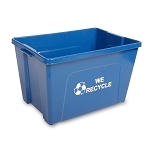 The larger capacity ensures less frequent trips to the dumpster from the desk. 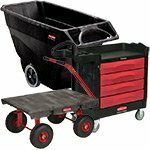 You’ve got to look sharp! 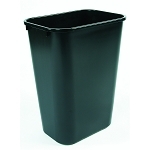 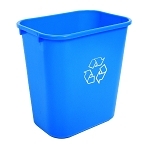 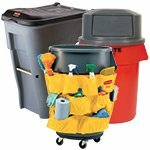 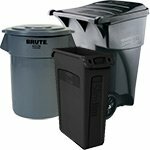 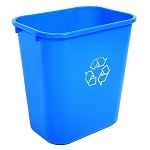 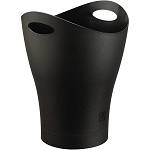 Additionally we proudly carry a wide selection of stylish waste and trash containers. 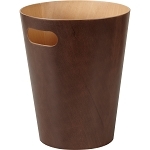 The Skinny Can, as it is aptly named, has a thin profile and a beautiful bronze color. 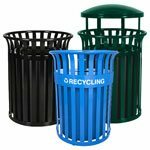 It's also available in indigo, orange, black, surf blue, red, silver, jasmine, teal, linden, galaxy, blizzard and metallic white. 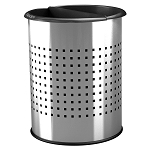 Don’t miss the super chic Skinny waste basket in Mesh Steel. 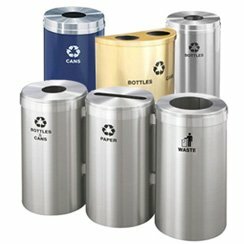 Found everywhere from luxury hotel guest rooms and to executive suites in NYC skyscrapers, Skinny cans occupy tight spaces nicely. 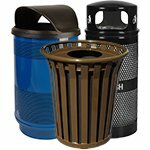 The Kera Cans and Fiboos are super snazzy and convenient. 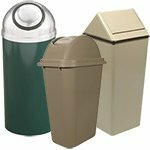 Garbino cans are tough polypropylene bins featuring 2-gallon capacities and handles for easy emptying. 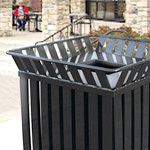 The Mezo bin was designed by renowned industrial artist, David Quan. 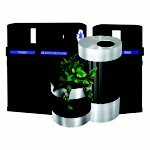 Yet even with it’s outstanding artful appearance, it’s available in a packs of three for a very reasonable price. 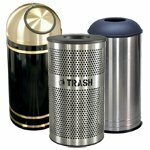 Employees will appreciate the lovely bronze or gunmetal finish and the swing-top lid which hides refuse and contains odor. 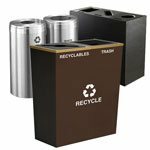 Also included in the deskside receptacle grouping are industrial step-on containers, perfect for physician offices, labs, hospital nurseries or nursing homes. 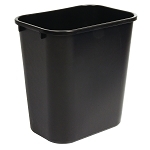 The helpful, self-closing lid contains waist and prevents the spread of germs and bacteria. 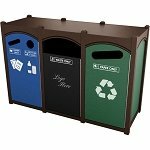 New, improved and super stylish, too! 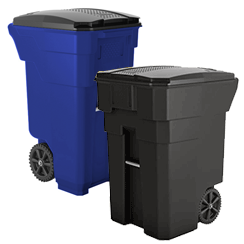 The newest members of our desk-side collection of garbage cans are the Fiboo and Kera waste baskets. 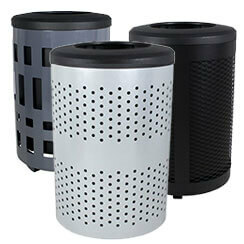 Both units feature tipping lids and are available in gray, linden and misty blue. 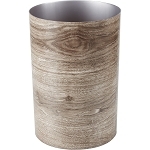 Featuring a smooth and sturdy swing top, this long-lasting wastebasket is made of melamine and bamboo fiber. 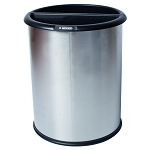 Compact yet hard-working, this nifty little trashcan will look great next to your desk. 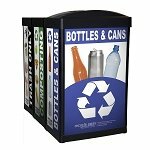 It is delivered in a pack of three, so buying larger quantities is cost-effective and easy. 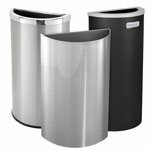 Your colleagues will be impressed by the modern body shape and durable construction. 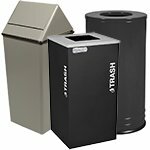 If we can be of any assistance in your search for deskside waste receptacles, or can provide a competitive quote, please give us a call or chat anytime.